What is the purpose of the Sheffield security bike rail? 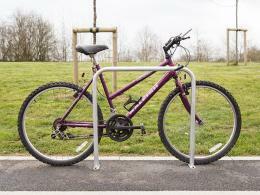 The Sheffield security bike rail is designed to keep bikes protected from theft in public areas. A Sheffield stand is perfect for use outside of public or private buildings or as a fixture at housing facilities, apartment buildings, and condos. 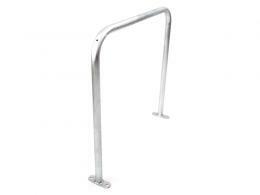 These bike racks will provide peace of mind for your customers and security for their belongings. Where can this bike rack be used? This type of bike storage product is designed for outdoor use and can be mounted to concrete via flange or grout-in options. 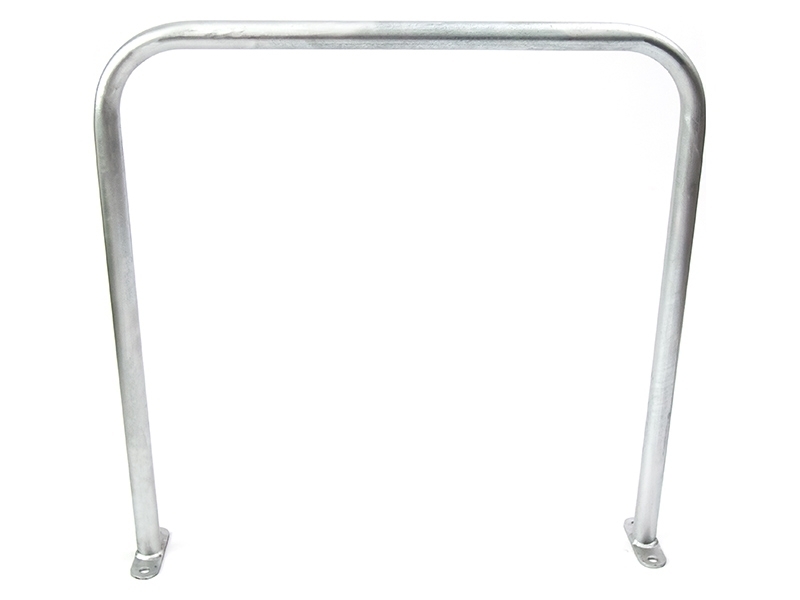 The thick 30 mm construction and tubular steel body help ensure that these bike rails cannot be cut or tampered with to free locked bikes. Additionally, the sturdy 6 x M10 bolts used to mount these rails (not included) make it virtually impossible for them to be loosened or pulled out of their fixtures. Who might use this cycle storage? 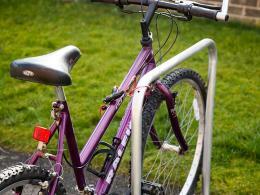 A Sheffield Bike Stand is ideal for companies or landowners who want to ensure the safety of their customers’ bikes. 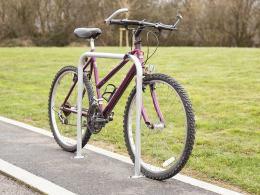 Perfect for use in cities where bike transport is common, and for areas such as schools, libraries, and cafes, where people frequently park their bikes, these bike rails keep bikes secure while also keeping them organized – no more bikes locked to lampposts, trees, or fences. This bike stand is made to last. 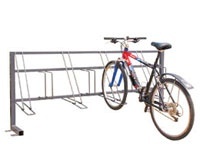 This model of cycle rack can accommodate a cycle on both sides of the rail and is available in mild steel galvanised, galvanised and black powder coated, or straight stainless steel models. The grout-in models have a 75 mm above ground height and a 200 mm belong ground height with a total length of 755 mm. 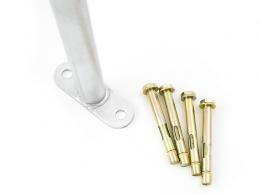 When you buy this bike rail, you get a full 1-year warranty on parts and labour and free next day delivery. Additionally, you can take advantage of the price match promise and easy return and exchange policies.